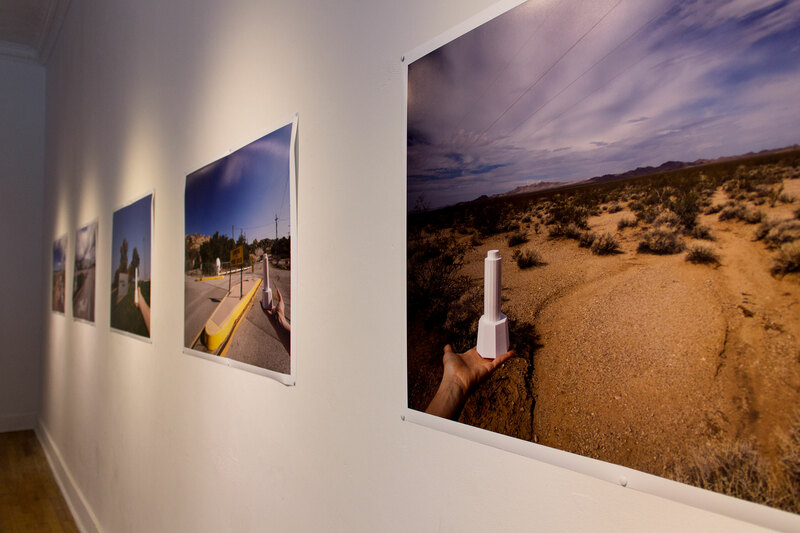 National TLC Service Agent Sarah Kanouse presented the National Cold War Monuments and Environmental Heritage Trail during the Albuquerque gallery Central Feature’s annual “Show Up/Show Down” series on contemporary art. The weeklong exhibition featured images of the Environmental Heritage Trail marker mock-up in the landscape at twelve sites proposed for inclusion on the trail. A video monitor played publicly-submitted proposals for sites to include on the trail, while Agent Kanouse gave an update on the National TLC Service’s activities in 2014-2015.